Donald Summers of Basel Action Network did call and apologize to me, personally, for telling a reporter in confidence I was "lying through my teeth", a "big outlier", and a "supporter of dumping on the poor." He apologized because he got caught saying it (in all places, in an article about his organization being sued for slander and libel, LOL). I'm nothing. Look at the way "environmentalists" and "watchdogs" are treating Chicas Bravas, Joseph Benson, Gordon Chiu / PT Imtech. Stewards. Huh. 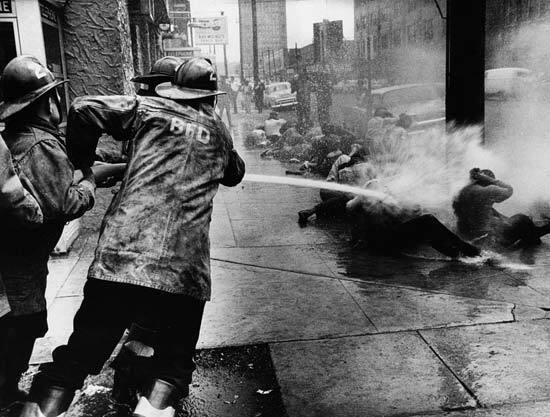 The Birmingham firefighters of the environmental movement. Hard thing: Mix enough bad stuff into your good stuff that they keep taking Toxics Along for the Ride. 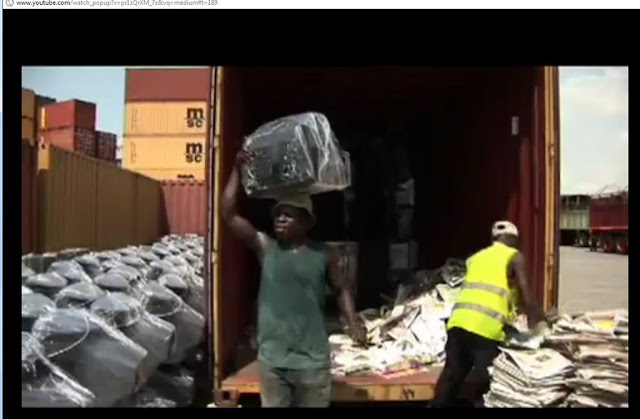 Harder thing: No Export! Shred all! Hardest thing: Do business with a black man who has been tarnished with a "primitive" label, but refuses to buy the junk he is accused of buying... while being shouted at as an illegal dumper. The environmentalists are fundamentally good people, like the white Alabama church-going fire fighters were. But they have refused to take it back. They say that loads at USA dumps, like this one (from VT) below are being put in sea containers, purchased by Africans, and burned. They have convinced regulators, the press, and young college environmentalists that the technicians and geeks in Lagos, Cairo, Accra, etc. are buying the load in this picture, and burning it. 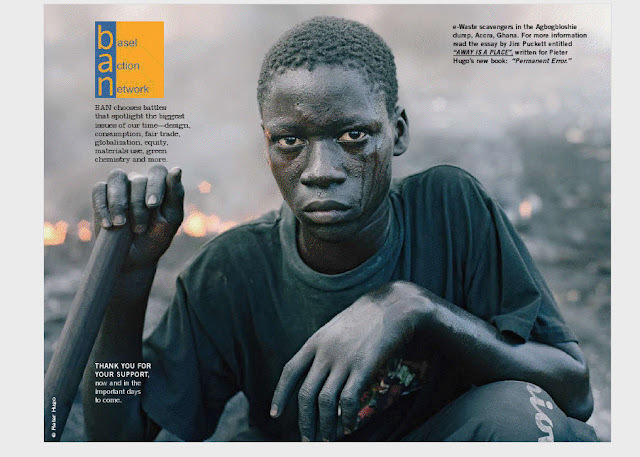 Here is the photo BAN.org adorned its annual report with. 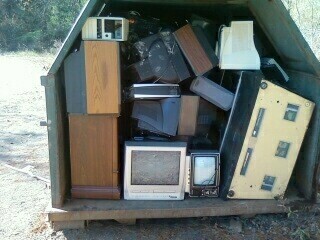 There's nothing in this photo which says that it's imported, or that it's a significant portion of e-waste. The kid was actually burning refrigerators, mostly. But the primary point here is that BAN doesn't pay the kid, they use his image to advertise their non-profit "charity" - (YES, they actually identify themselves as a CHARITY to IRS!!!) - raise money on the kids photo, thank us for our support... and the kid does not get a dime. Bring it on. I'm only 51.